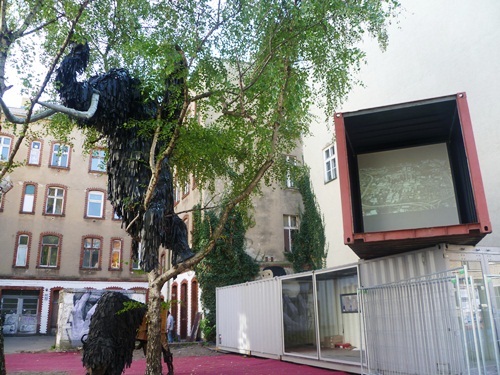 Walk down Linienstraße in central Berlin at some point after 5pm over the next few months and you will come face to face with a shipping container transformed into a video box, as part of the re:MMX public art project from the folks at Co-Verlag here in Berlin. 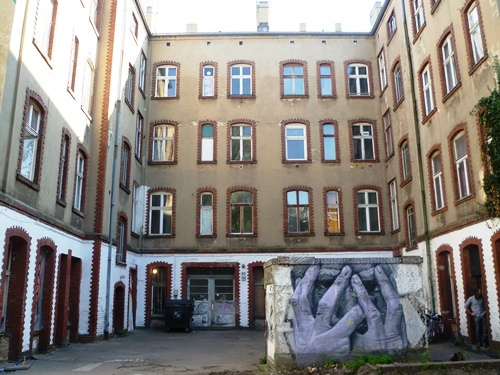 The original MMX project was in the same location – Linienstraße 142 – and was a year-long project in an old abandoned building that by its end had featured over two hundred artists from Berlin and around the world. As one of the few remaining unrenovated buildings in this part of town, it was no surprise that it was bought by developers and plans were put in place to renovate the old buildings and re-build the front house that was presumably destroyed during the Second World War. 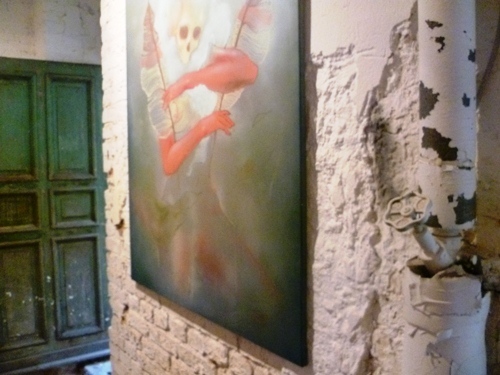 But the developers, conscious of the passionate debates around gentrification in Berlin, and perhaps even that the iconic squatted Tacheles arthouse around the corner finally closed this month, invited the Co-Verlag team to return to the space to run a series of public art exhibitions during the renovation process. 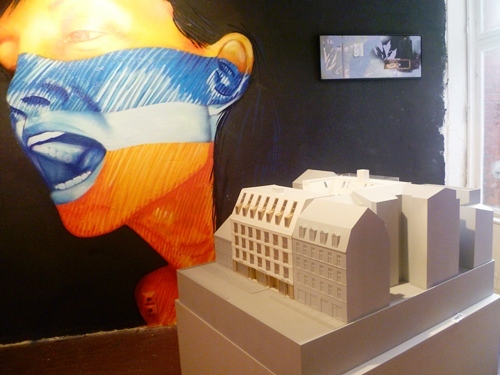 Over the weekend the inside was opened up again to allow visitors to explore the labyrinth of rooms on the ground floor, containing art from both the past and the future of the MMX project, but also street art from the year between the MMX projects, and also – in the middle of all this – the developers model of how Linienstrße 142 will look once the renovation and rebuilding is complete. 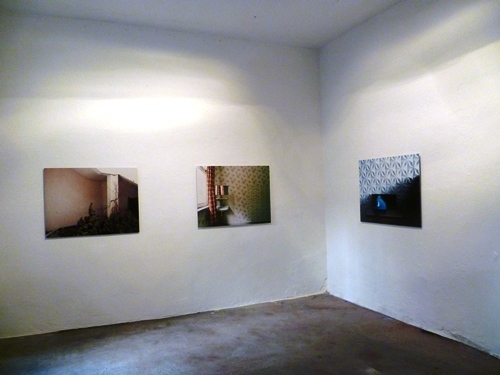 If you are in Berlin, they told me yesterday that you will have the chance to explore the exhibition again next weekend, so go and check it out. The video box, perched atop the sales office for new apartments in the future building, will feature the work of a different artist each week. Until Friday you can see a piece by Rob Carter, which certainly caught Lotte’s attention, as well as many other people enjoying a Sunday stroll through Berlin-Mitte. You can find out more information on the website here, and below are some more images from our exploration yesterday. 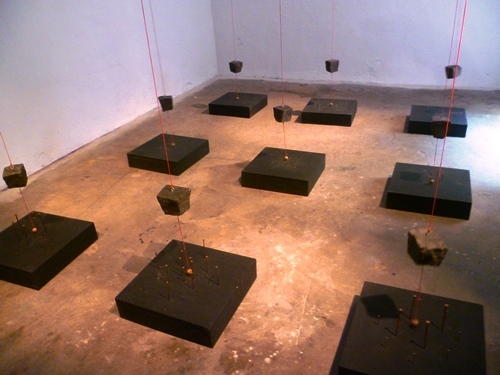 This entry was posted in Art on September 17, 2012 by Paul Scraton.